Almost there! One day to go until we complete the circumference of mainland Britain. 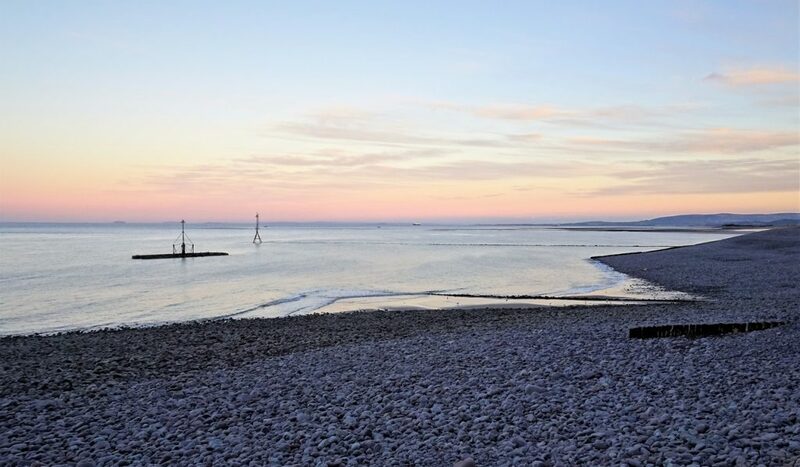 Today we will continue along the north Devon coastline and into Somerset. White Lady in the Valley of Rocks near Lynton. We made our first stop of the day at Westward Ho! Beach, still looking a little sleepy. 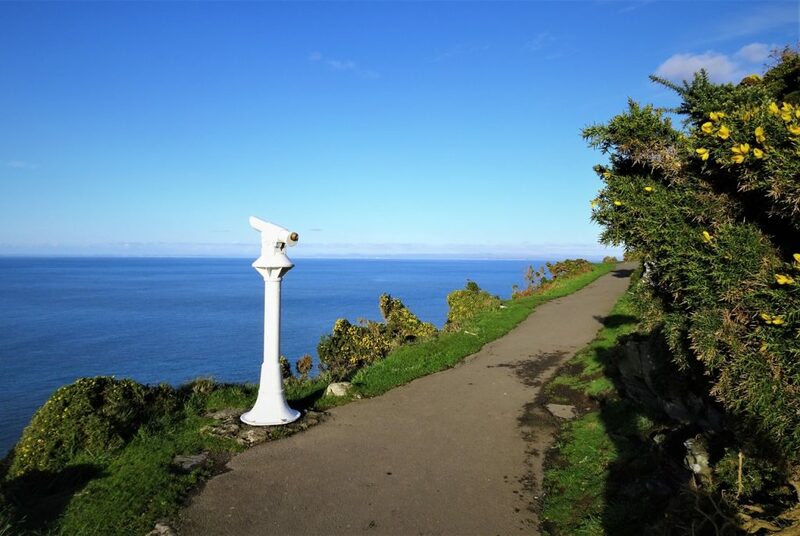 😉 The unusual village name came from the local author Charles Kingsley’s book Westward Ho! 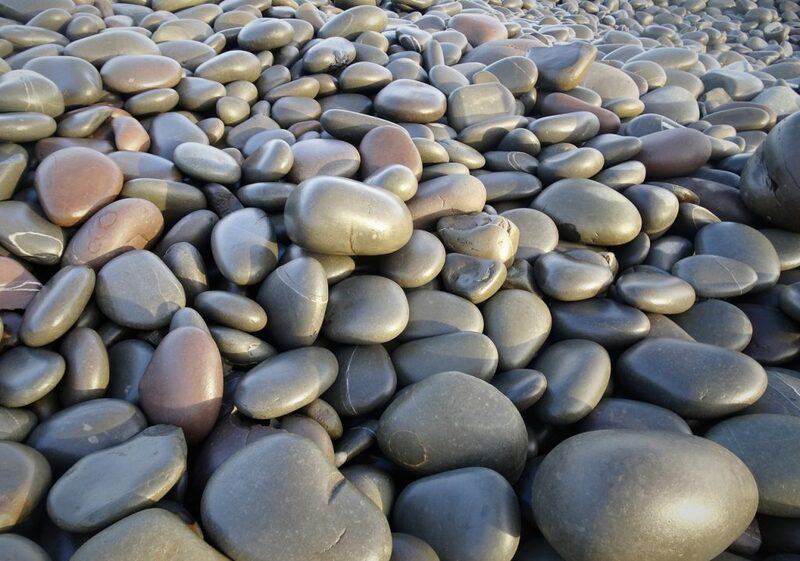 We don’t normally photograph pebbles, but these were lovely pebbles…. if you can call pebbles ‘lovely’?! 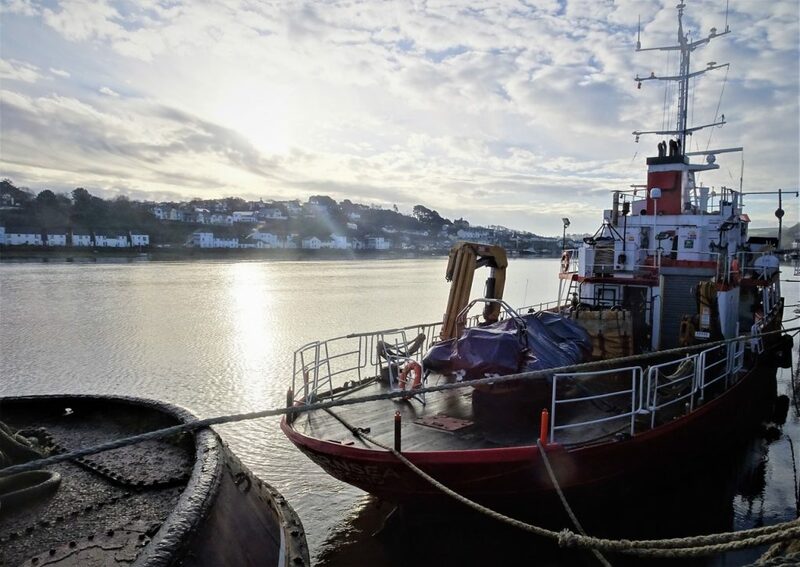 Fishing boats moored at Bideford. 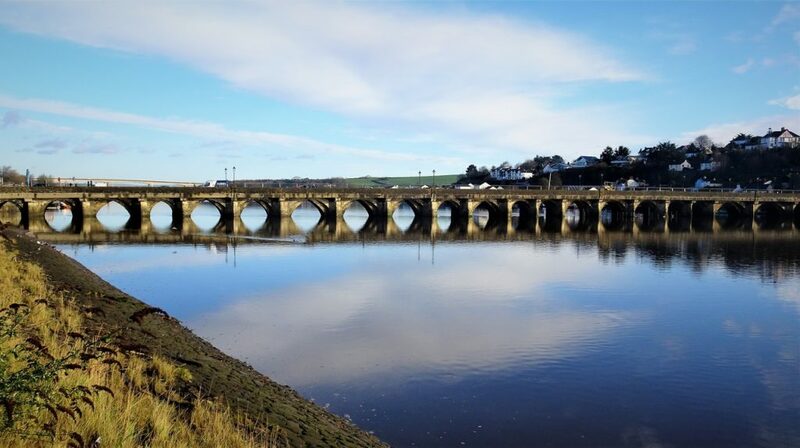 The medieval Bideford Long Bridge reflecting in the calm River Torridge. The stone bridge is one of the longest of its age in the country. 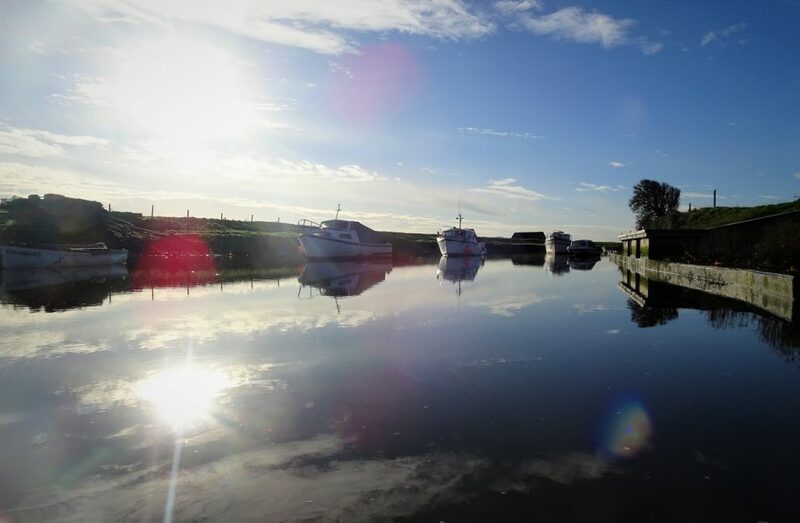 More reflections, this time on the River Caen at Velator Quay near Braunton Burrows. Skirting around the flat fields and marshlands of Braunton Great Fields. 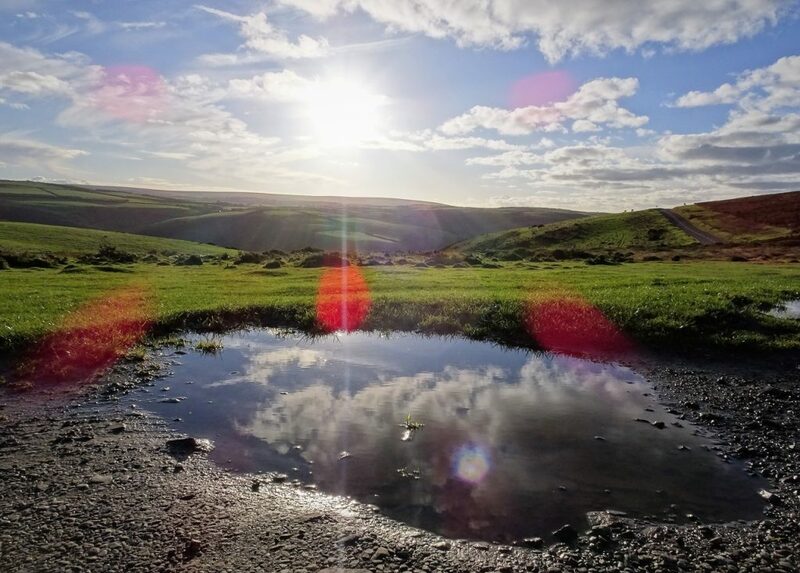 The area is Britian’s first Biosphere Reserve, designated by UNESCO. 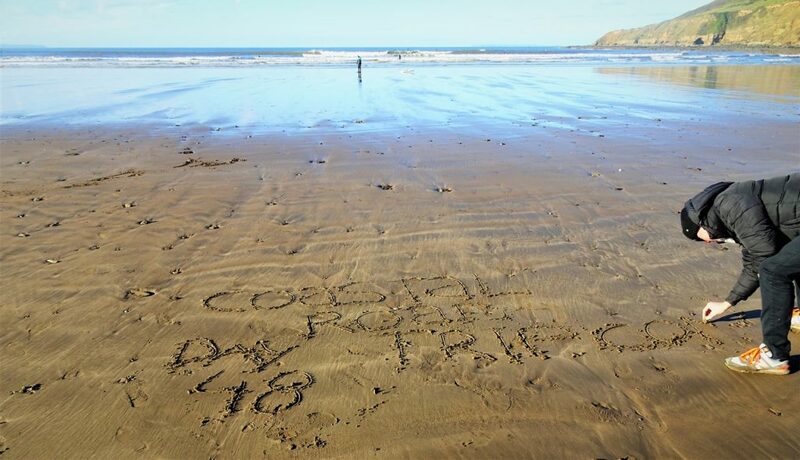 Jarno busy with a little more sand-graffiti at Saunton Sands. 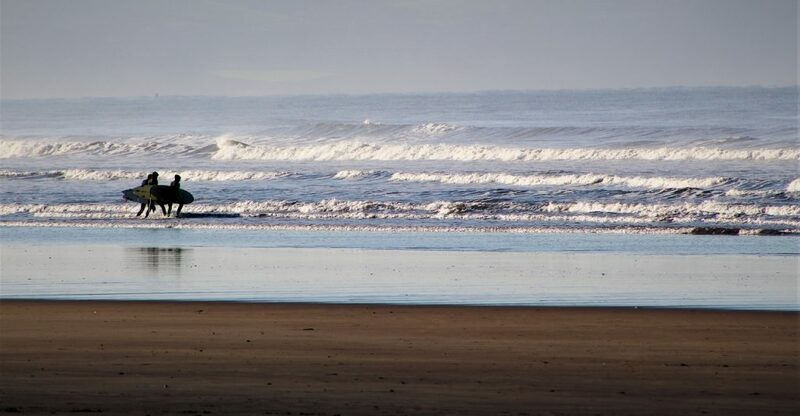 There were plenty of surfers taking the day off from work…. 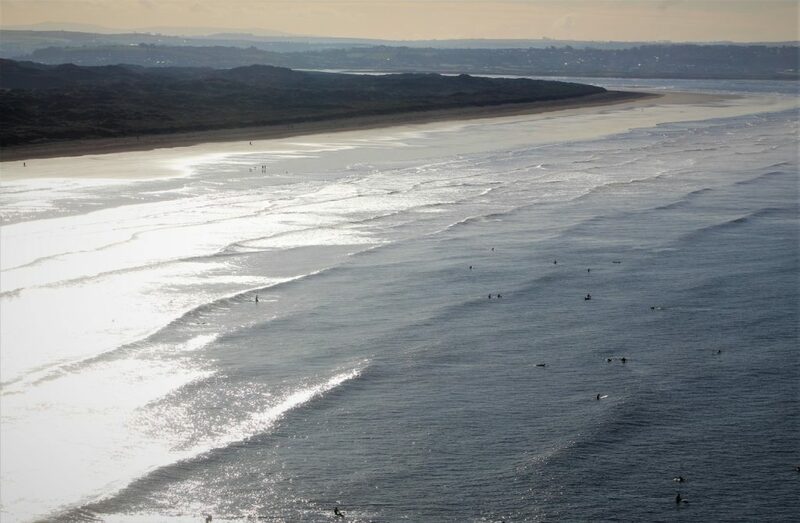 …and as we left and drove around the headland to Croyde Bay we had a magnificent aerial view of all the surfers at Saunton Sands. Around the headland Croyde Bay and views to Baggy Point. A lovely crisp and fresh November morning. 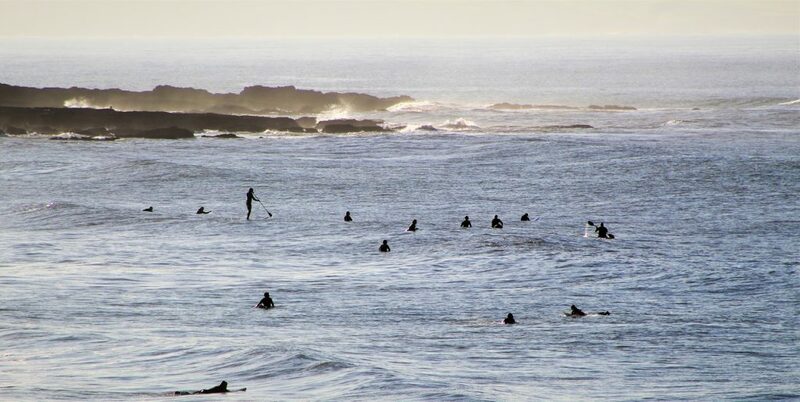 Yet more surfers in Croyde Bay, looking back from Baggy Point. 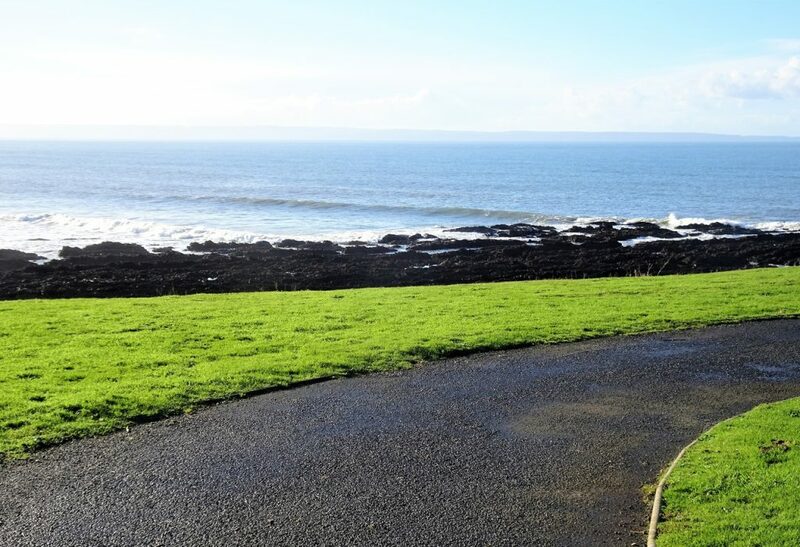 Looking through some house gates at Baggy Point, this was their driveway and view – pretty cool! 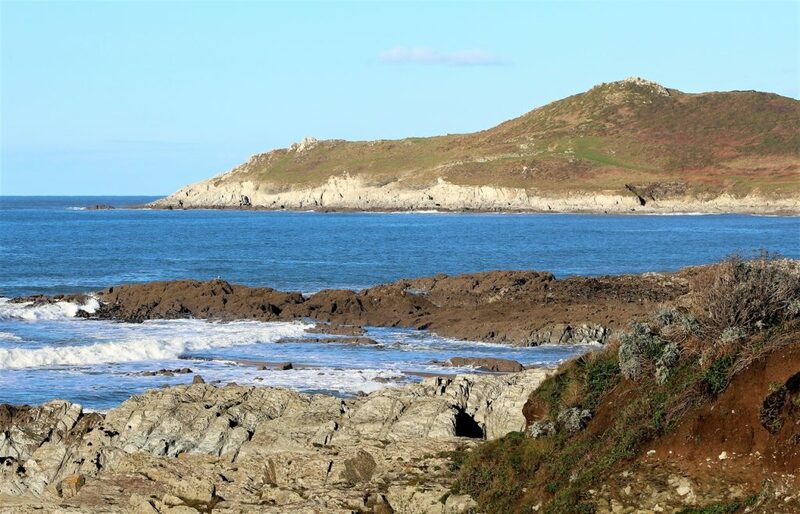 After several country lane diversions which lead us on a long journey inland, we finally ended up back at the coast on the north side of Baggy Point at Woolacombe. 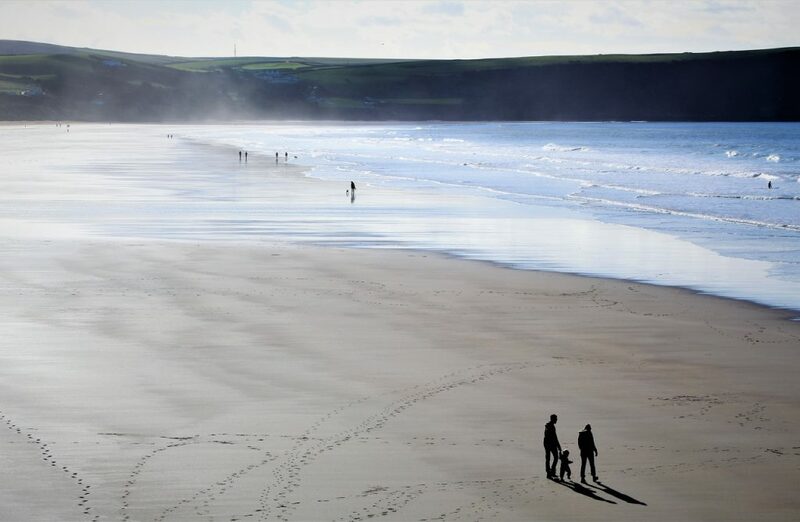 The beautiful wide open sands of Woolacombe Beach in Morte Bay. The beach is considered one of the best in the world, often winning prizes. Then looking north from Woolacombe Beach, past Barricane Beach and Grunta Beach to Morte Point. 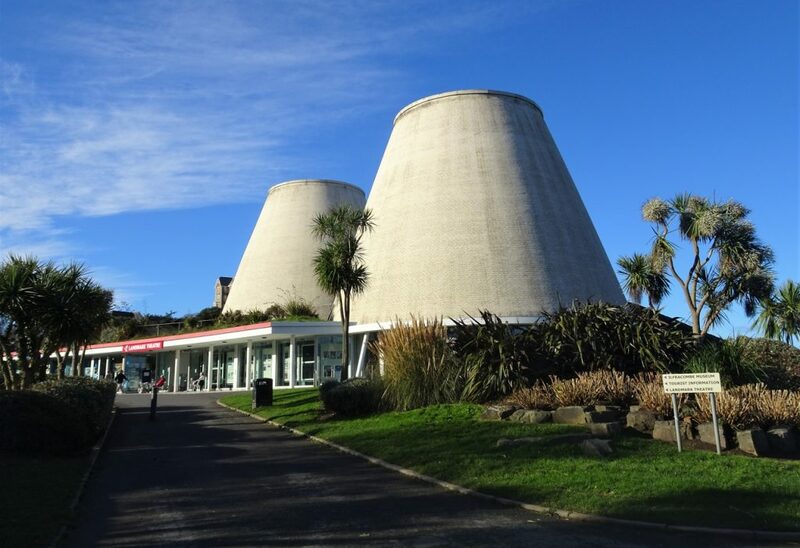 The unusual double conical design of Ilfracombe’s Landmark Theatre, also know by locals as Madonna’s Bra ; -)! 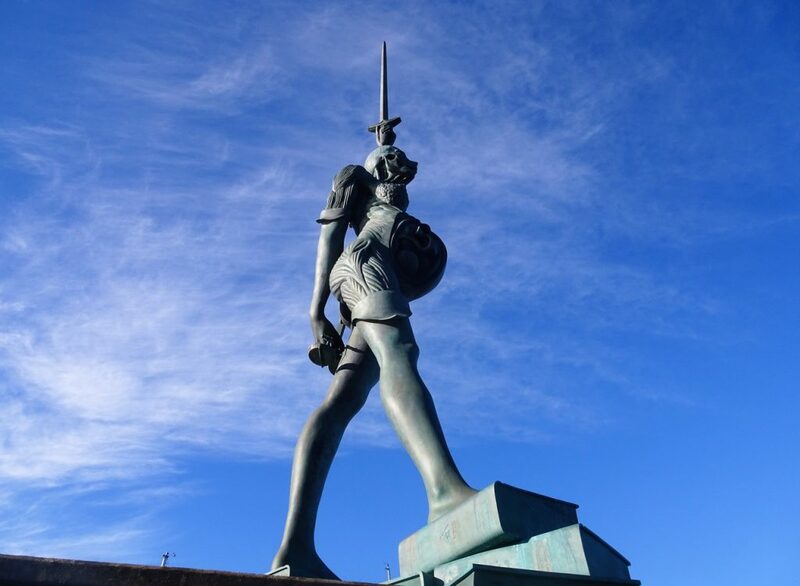 Ilfracombe was full of surprises, including Damien Hirst’s Verity bronze sculpture on the harbour front. To be honest the picture doesn’t do justice to how huge and impressive the Verity statue really was. 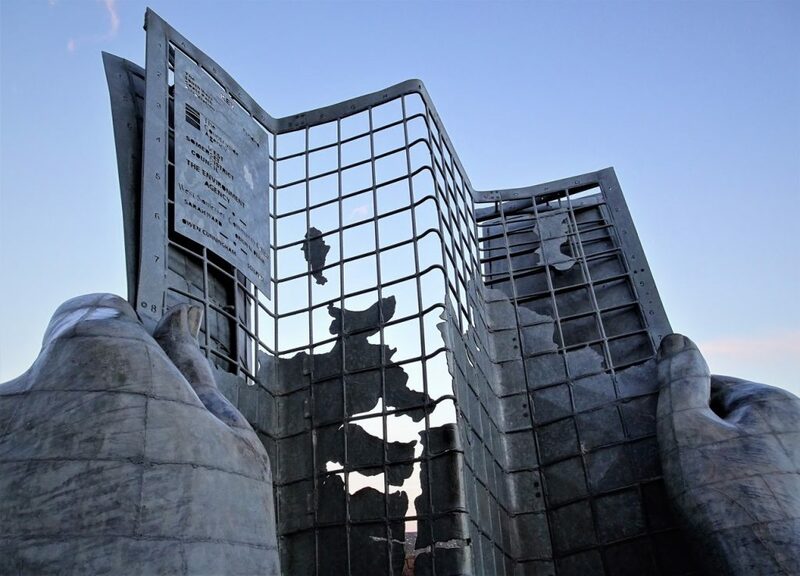 We loved that a small town had embraced art like this. 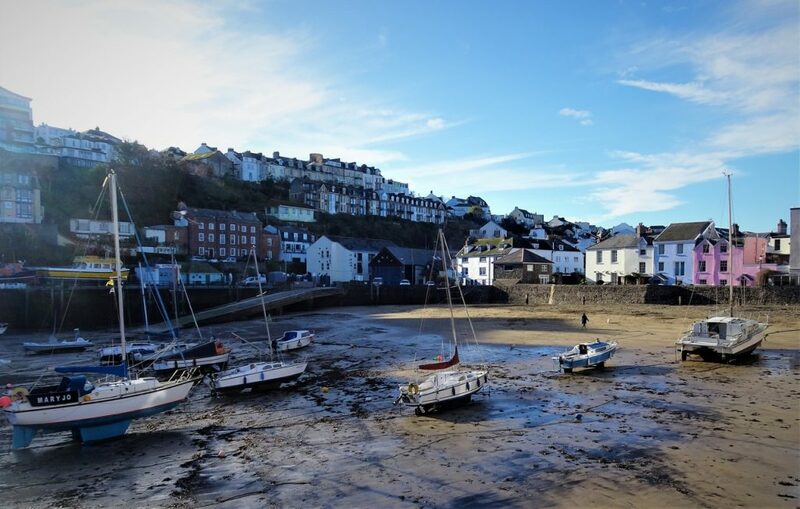 The more expected and traditional view of Ilfracombe Harbour. 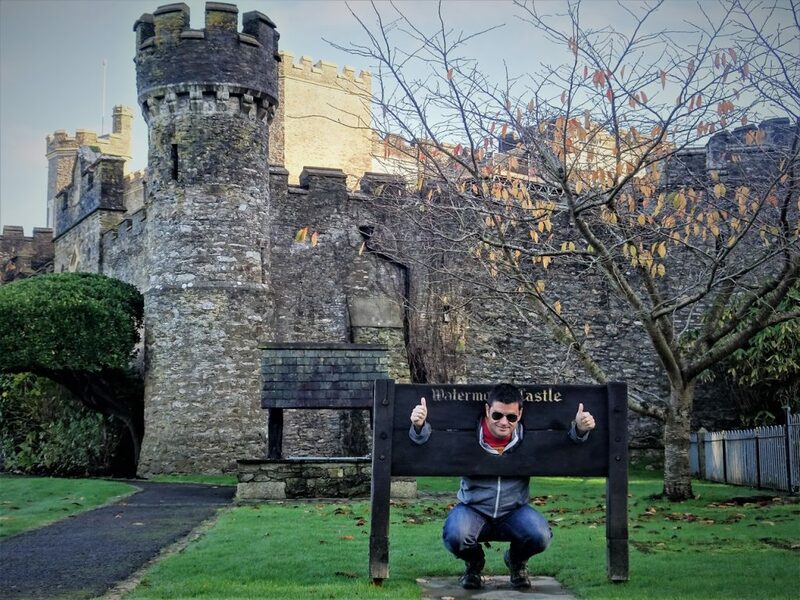 Some dodgy looking character caught in Watermouth Castle’s stocks. 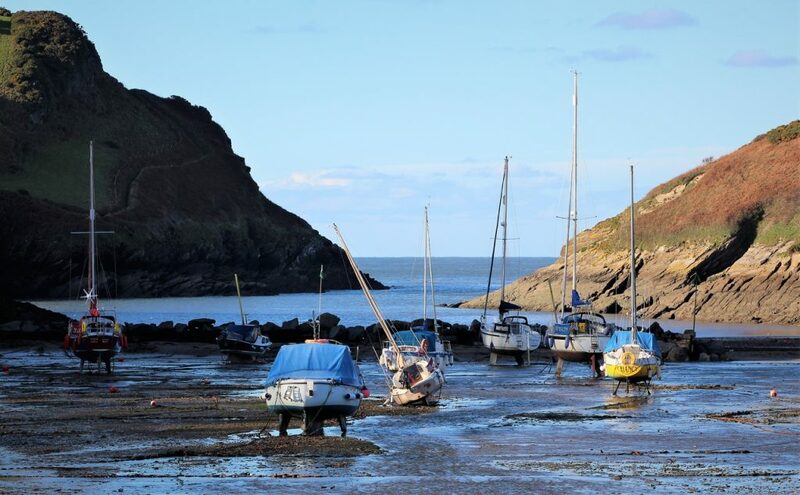 Yachts below the castle in Watermouth Harbour. 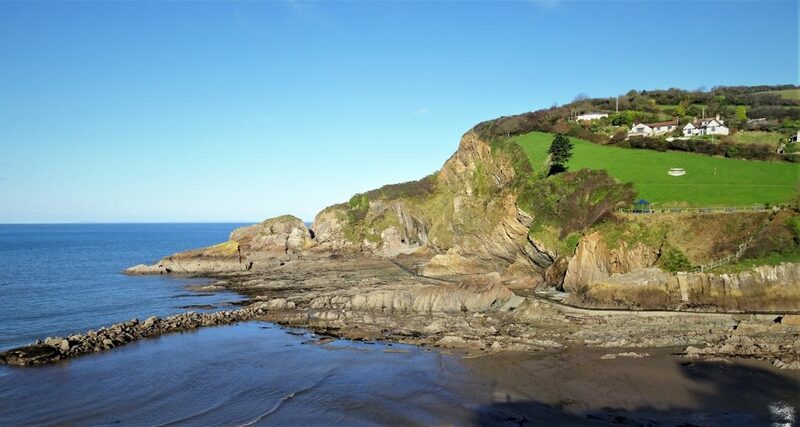 Coombe Martin Beach nestled in a narrow valley. Random fact of the day – the village holds the Guinness World Record for the world’s longest street party! 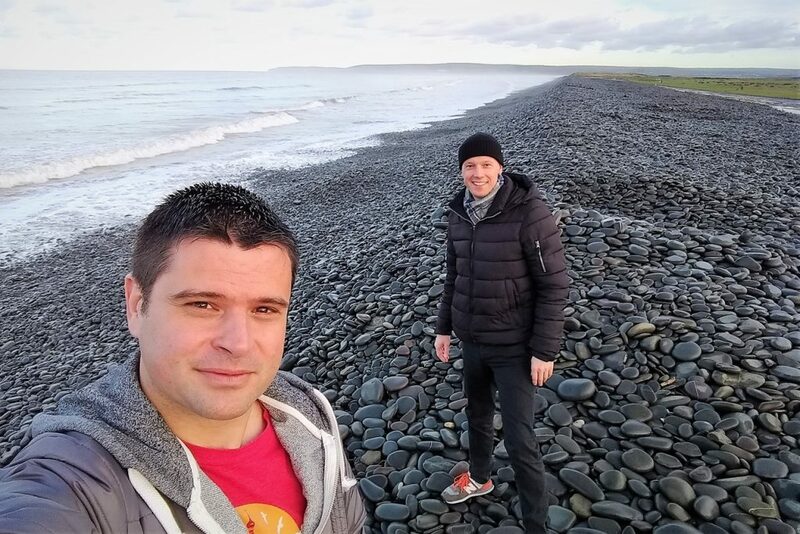 As we continued our journey east, we drove slightly inland stopping in the tiny village of Parracombe. Winding our way through some of the smallest village lanes on our road-trip we finally found St Petrock’s Church up a muddy dirt track. 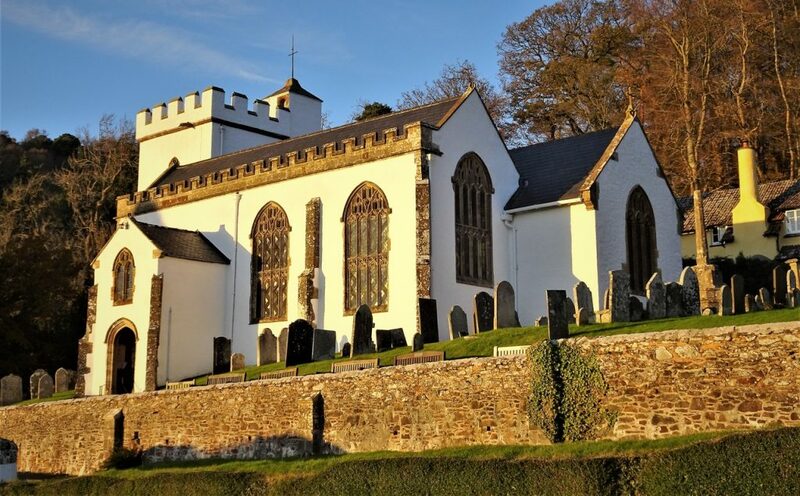 The calm and quaint church originally dated back 13th century. 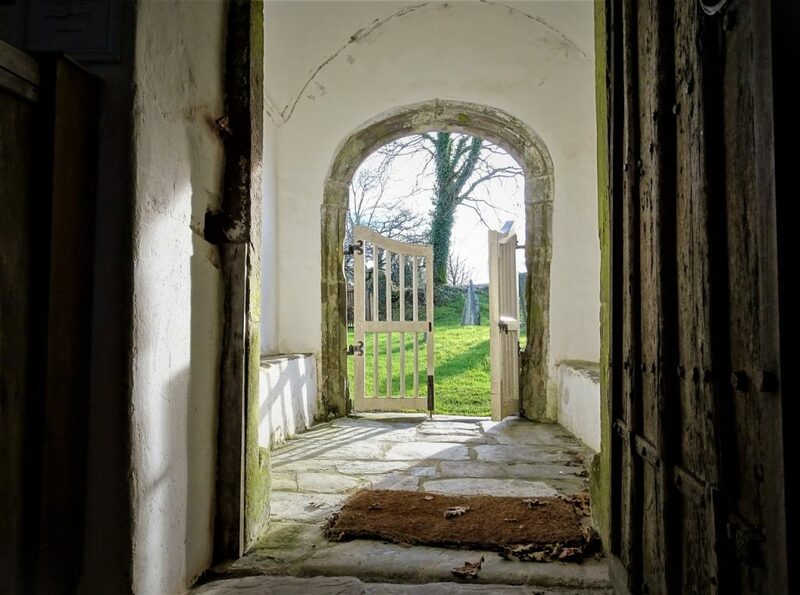 In the late 19th century the poet John Ruskin helped save the church from demolition with a £10 donation. As we arrived in Lynton we first made a little detour through the Valley of Rocks. 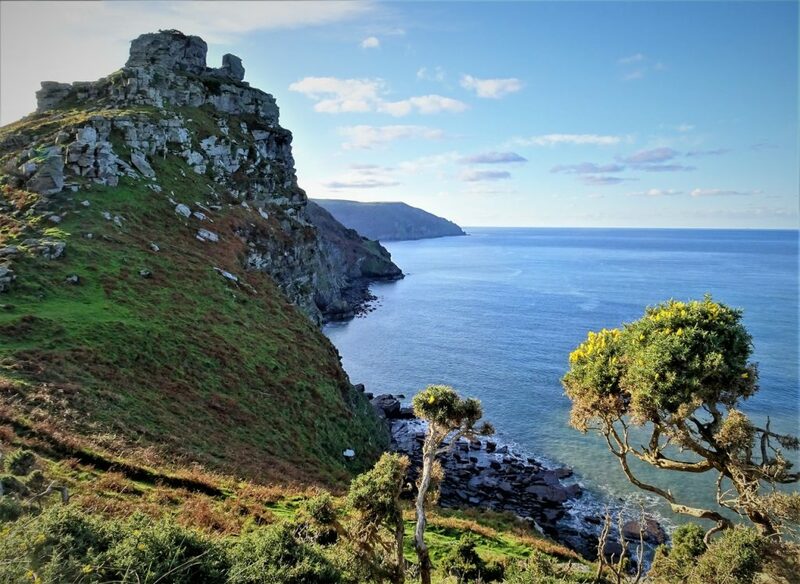 Glorious views west from the Valley of Rocks past the White Lady towards Wringcliff Bay and Woody Bay…. …. and north across the Bristol Channel from the South West Coast Path. 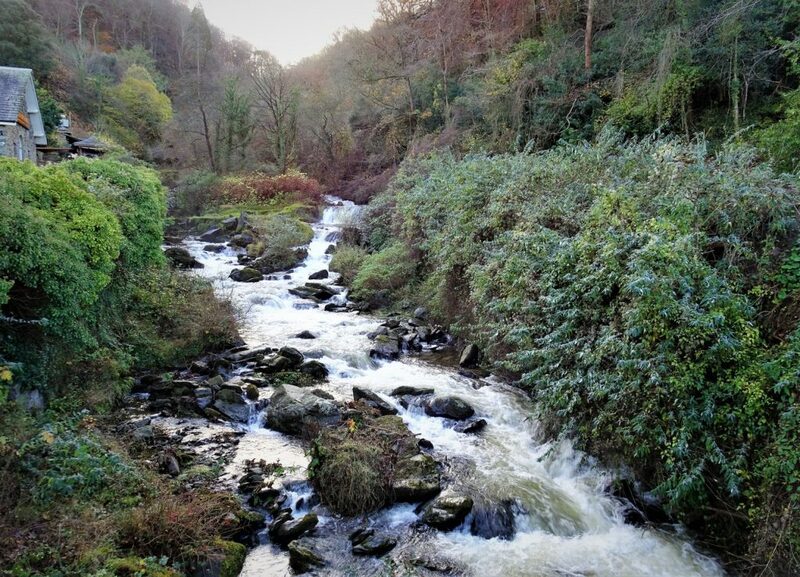 The West Lyn River gushing through Glen Lyn Gorge. In 1890 Lynton & Lynmouth were one of the first places in the country to be powered by hydro-electric power (from the East Lyn River). 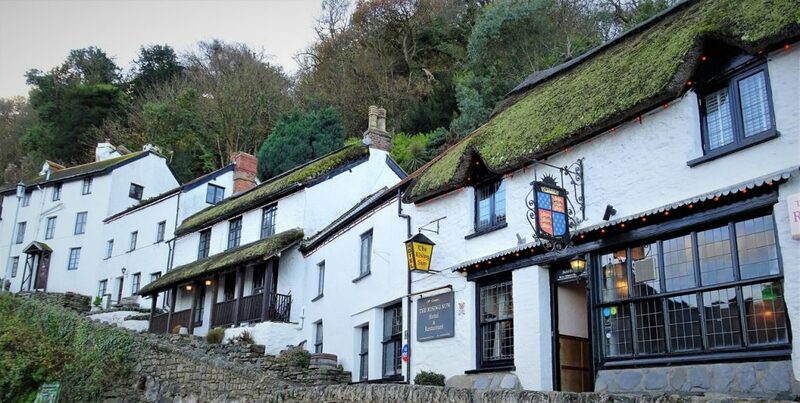 The local thatched-roofed pub built down Lynmouth’s steep hillside. 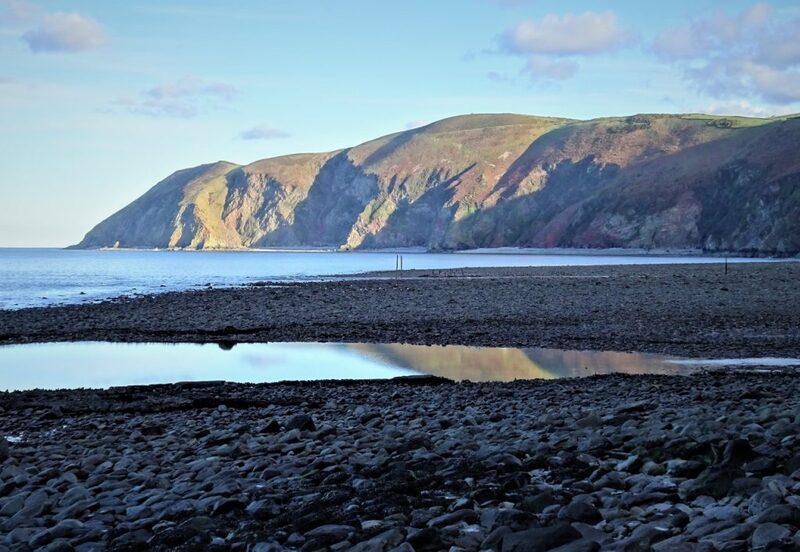 Foreland Point across from Lynmouth’s seafront. Looking down on Foreland Point as we drove up Countisbury Hill. 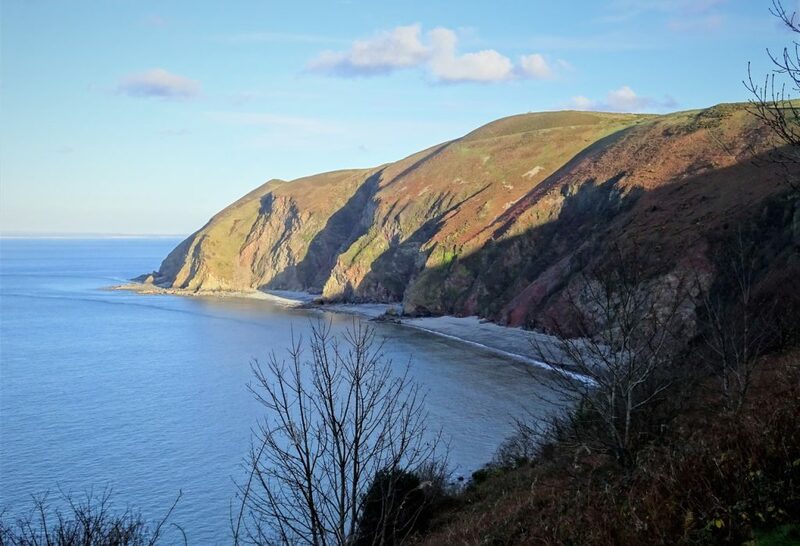 Views south across the rolling green Exmoor National Park from the National Trust’s Foreland Point. Crossing from Devon into Somerset, we took another detour from the main road. 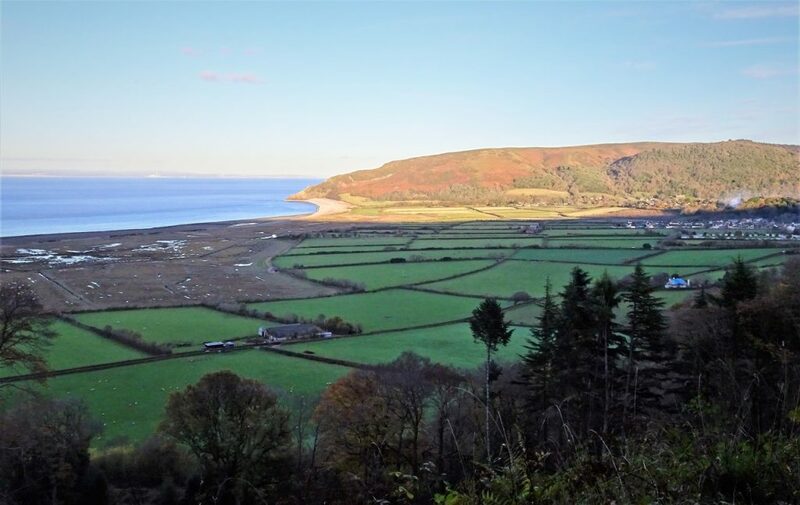 We winded down through the picturesque Porlock Manor Estate Toll Road overlooking Porlock Weir and Hurlstone Point. 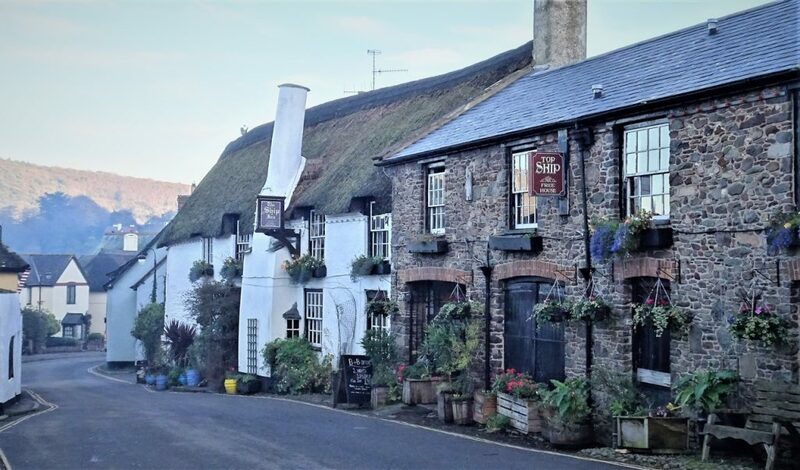 Another thatched-roofed pub as we reached Porlock. 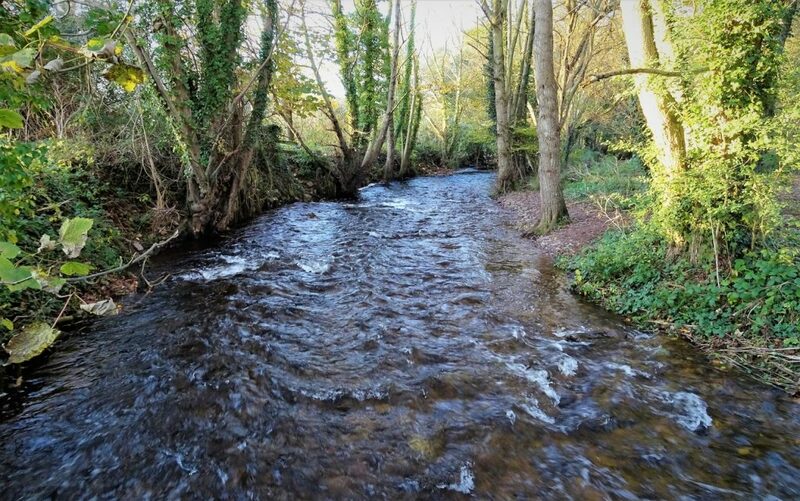 Horner Water tumbling through woodland to Bossington Beach. 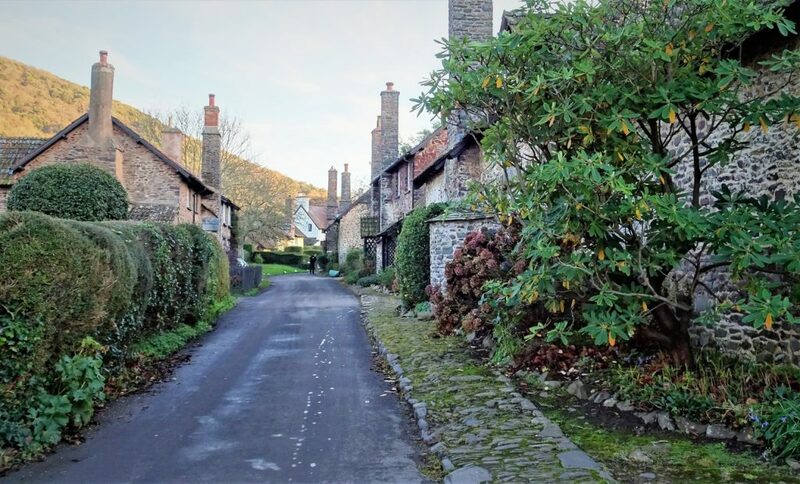 Tall chimneyed cottages lining the narrow lane from Bossington to Allerford on the Holnicote Estate. 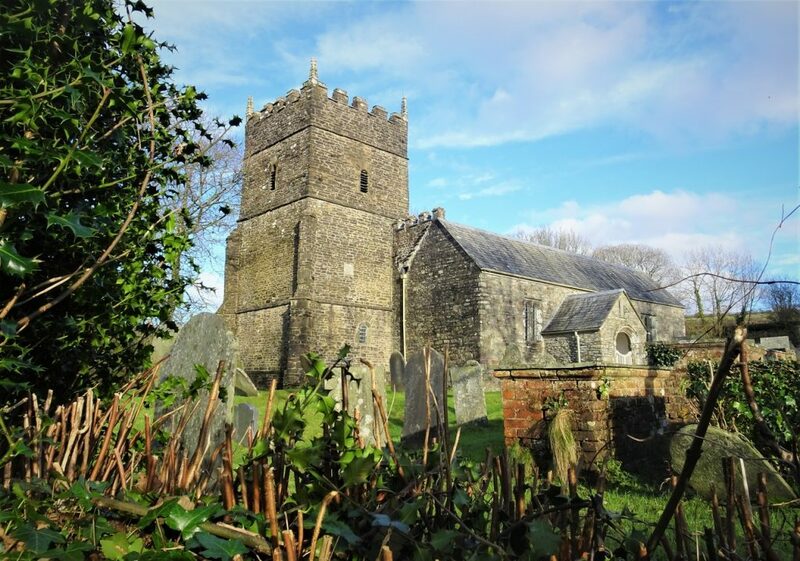 The warm glow of the late afternoon sun illuminated the All Saints’ Church in the tiny village of Selworthy. Wow, this is how we imagined Somerset… and we were bang on. 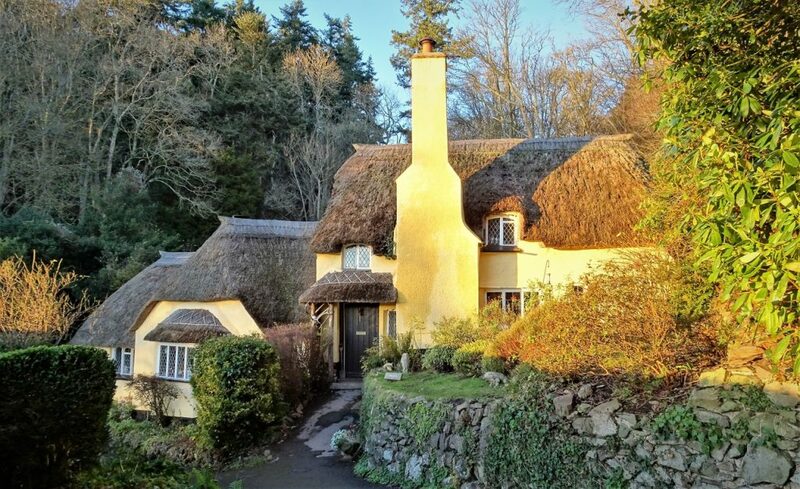 Selworthy’s cream thatched cottages on the National Trust’s Holnicote Estate. Selworthy Green, and so so quiet, again we were the only visitors as we wandered around. 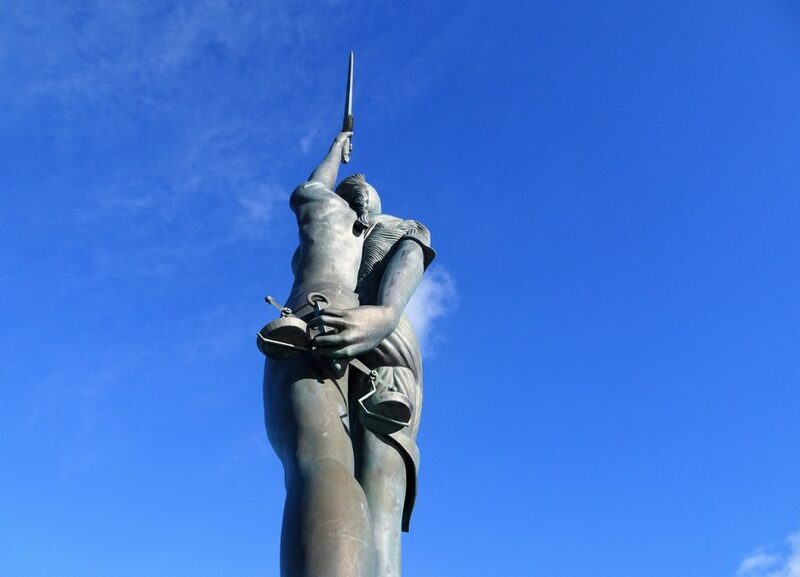 The sculpture on Minehead’s seafront by Sarah Ward, marking the end (or start!) 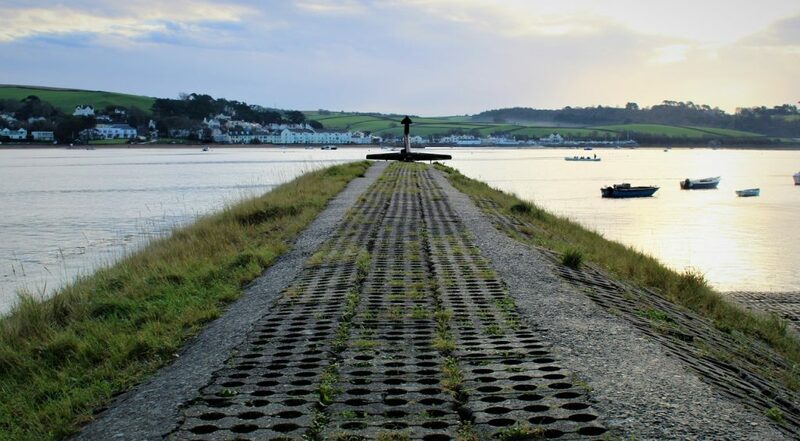 of the 630-mile South West Coast Path. 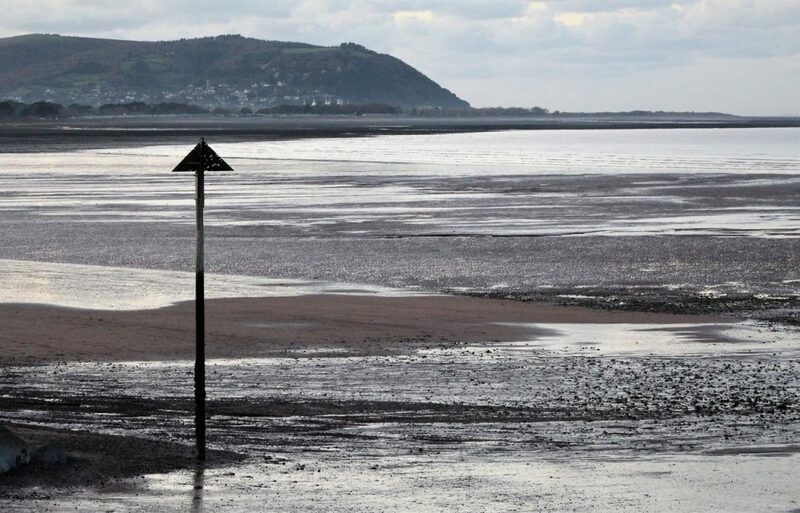 The view across Blue Anchor Bay back to Minehead. 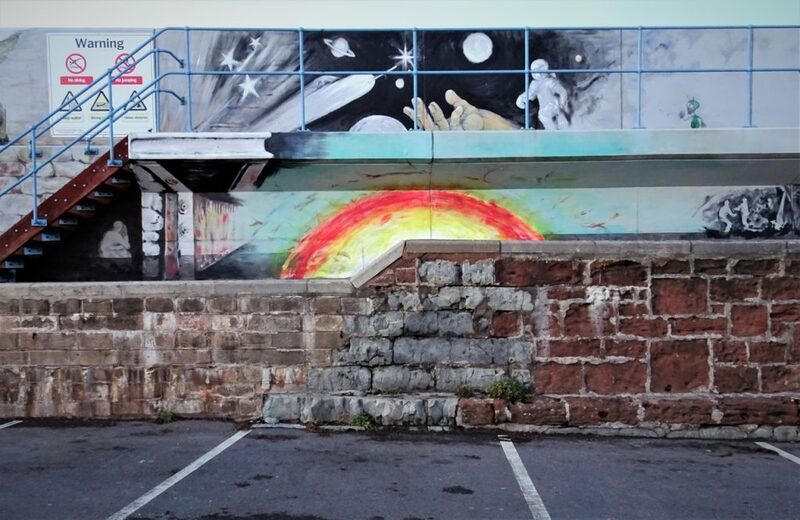 After passing Dunster Castle, we made our final stop of the day at Watchet, where we found the harbour car-park surround by interesting street-art murals. 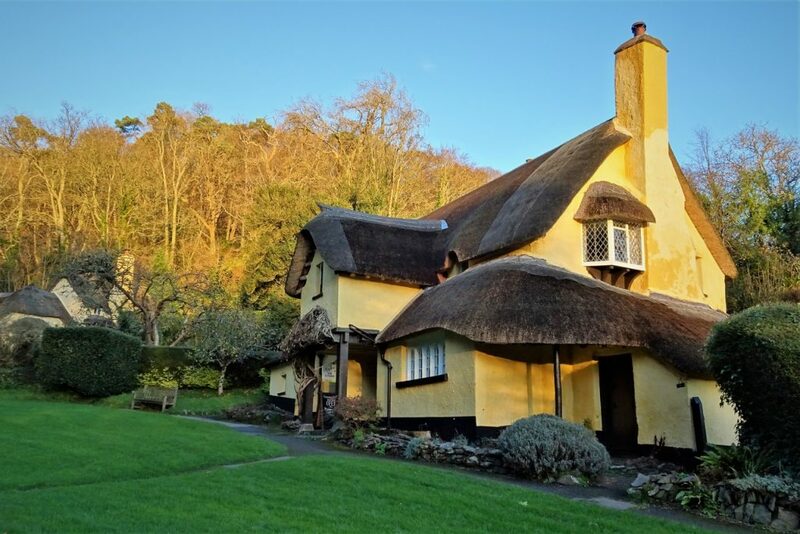 We then continued our journey via the National Trust’s Coleridge Cottage (which was closed) to Bridgwater for the night. Just one day to go until we complete our 49-day British Coastal Road Trip!! !